In 2016, Anthony Wade came down hard on Christian apologist Michael Brown for showing a stunning lack of discernment over the years. In light of the company he keeps (see the wolves he associates with here), should we have any confidence in Dr. Brown at all? 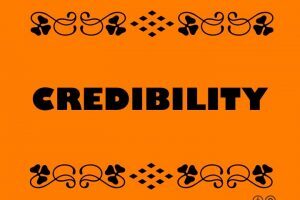 Should someone who knowingly runs with ravenous wolves be considered credible? “Who we choose to lend our credibility to matters to the people who see us and listen to us,” reminds Wade. This is simply untrue. If he were a lover of God, His people and His Word, then he would abide by Titus 1:9, which requires him to rebuke false teachers. Reasonable people can always disagree about teachers on the periphery. We are talking some of the biggest and obvious heretics on the planet today. Brown also does not welcome discernment. What he welcomes is the chance to appear to be the voice of reason. For example in the comments of this article there is an exchange between him and discernment blogger [name withheld] about why Brown blocked her on Twitter for daring to ask about his support for Bill Johnson. Brown tried to claim it was because he did not “have the time” to respond to her and instructed her to call his radio show. This is a common tactic for Brown, who seems to have plenty of time to write but never any time to respond in writing. Instead, it is always an invitation to call his show because then he can pretend he is trying to engage his dissenters. Two points on this. First, it is simply shameful self-promotion. Secondly and more importantly, nothing gets resolved on his radio show because he dominates the time, sets up strawmen arguments at the start of any potentially contentious segment and answers critiques and questions with other questions. How do I know? I called into his program after he spent a week on the Benny Hinn show. While Dr. Brown was kind enough to give me ten minutes it was primarily ten minutes of him filibustering, commercials, and nothing got resolved. Nice try. Discernment ministries are not “setting the body right.” They are driving the wolves away from the sheep. You know, as the Bible instructs us to. Not only is this a strawman argument but it is designed to cast aspersions upon those who would seek the truth. By the way, if someone writes something without checking facts or giving enough time, I would agree with Dr. Brown that they are not doing the work of God. But that is not who we are really talking about. True discernment ministries, such as the work of [name withheld] are not gossip columns. I can give two topical examples from my own ministry. One time a couple of years ago, Brian Houston said in a sermon that Christians and Muslims serve the same God. No question about it. I heard it. I chose not to write about it however until I heard Houston respond to the criticism because it simply was not in his prior teachings. Anyone can make a mistake beloved. Houston may be one of the worst prosperity pimps on the planet but he has never supported Chrislam. Sure enough he came out in a few days and even though he lamely blamed the media, he said he had misspoken. Good enough for me. To this day when people try and level this charge against him I defend him because the only thing that matters is the truth. The second example was when Victoria Osteen said that we worship God for ourselves and not for Him. I gave her the benefit of the doubt for a week waiting to hear if she would say she misspoke. Instead she and Joel doubled down on the heresy and THAT was when I wrote about the incident and how worship within the church has become as narcissistic as Victoria admitted to.